Home Foreclosure and Mortgage Delinquency can occur as a result of a reduction in pay, job layoff, and illness, death of an income provider, care of family members or other reasons. Foreclosure Prevention/Mortgage Delinquency Counseling provides clients who are delinquent on their mortgage or facing foreclosure, through education and advocacy, the opportunity to bring their mortgage payments current and/or save their home. A Grand Rapids Urban League Housing Counselor will work on behalf of the client with their mortgage company (or the mortgage company’s attorney) to find a workable solution for both parties. The counsel and advocacy of a third-party HUD Approved Counselor is often a welcome addition to the negotiation process for the mortgage company, and provides a sense of relief to the client. The Grand Rapids Urban League Housing Counselor creates a detailed budget for the client to use, based upon financial weaknesses identified in a confidential counseling session. After a detailed budget has been drafted, the Housing Counselor will be able to determine the best course of action, and work with the client and mortgage company toward a realistic and beneficial solution for all involved parties. Individuals, who are experiencing financial difficulty in paying their monthly rent and/or are close to possible eviction from their homes, should contact a Grand Rapids Urban League Housing Counselor regarding potential options to prevent eviction. Grand Rapids Urban League Housing Counselors may be able to advise and/or advocate on behalf of the individual (depending upon individual circumstances). Housing Counselors speak directly with property managers on behalf of the client. 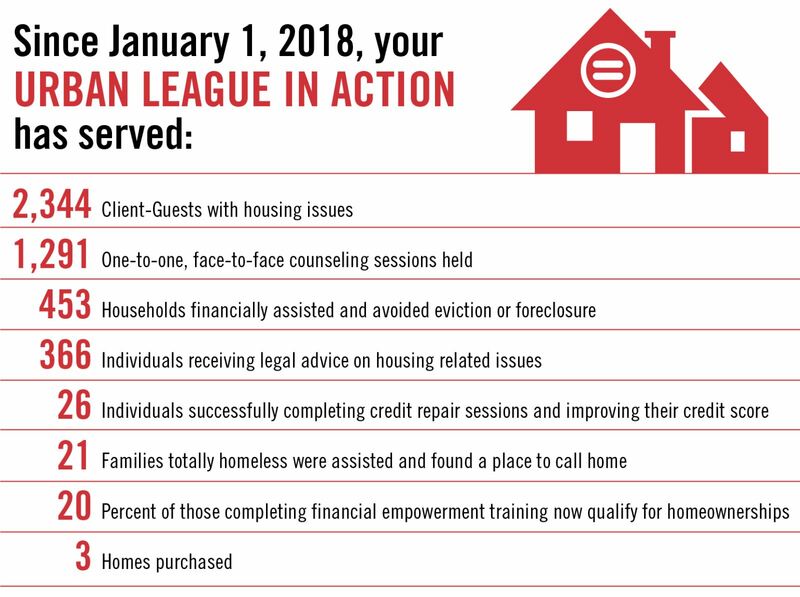 Grand Rapids Urban League Housing Counselors may also refer clients to alternate agencies that may be able to provide financial assistance to families in crisis. Third-party advocacy in some situations can be the key to a successful turn of events. Contact the Grand Rapids Urban League Housing Counselor for an individual assessment of your situation in order to prevent further complications from the initial delinquency. These two websites allow you to search for an apartment based on a range of needs such as the number of bedrooms, price, location, school district, etc. The Rental Property Owners Association publishes a weekly rental guide which focuses on the greater Grand Rapids area. MSHDA - The Michigan State Housing Development Authority provides information about greater GR as well as a broader geographic area.